For over 50 years, JC Toys has been known for their amazingly sculpted, high quality, and realistic baby dolls. 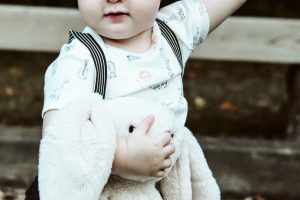 Their newest dolls, prices ranging from $12.99 to $59.99, enable children to enact the hugs, kisses, and snuggles that is demonstrated in their own family. From the expressions to the realistic eyes, hands, nose and even belly buttons; one can easily see that they put definite care and attention into making these dolls. If kept in pristine condition, these timeless dolls can be treasured for years to come. Salvador Berenguer is the creative genius behind the sculpting of these dolls. The Berenguer family name has been associated with doll design since the 40s. 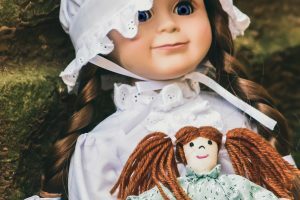 Possessing the same natural talent for doll design as his famous doll designer father, Jose Berenguer, Salvador followed the family tradition of designing dolls with an unending passion for perfection. The pictures on their web-site hardly does any justice for their dolls, especially the La Newborn Real Girl 14″ ($59.99) that I received. I was taken back, because it surpassed my expectations. True to their word, this doll is astonishingly lifelike. The facial expression perfectly captures the realness of a newborn baby, from the folds of the skin to the delicate fingernails. The intricate details on this doll are phenomenal. It is also anatomically correct, meaning that it features “real” girl parts. 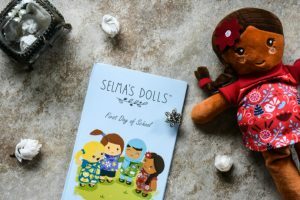 As children get to the potty training stage, they begin to notice things like this, so this doll might be ideal for girls starting at this stage. However, they also offer non-sexed dolls. This doll came in a soft, beautiful knitted outfit in light pink and grey. It also came with an unfilled out birth certificate, enabling your little girl to give the newborn a name, date of birth, weight, and length information. I haven’t filled out the information yet, because I’d love to give my daughter the opportunity to use her imagination when I believe she’s the right age for this doll. This doll, or any other doll from their store, would make the perfect gift for any young girl or doll collector. Some of their dolls are a bit pricey, but they offer several dolls at a reasonable price range of under $20. Also, be sure to sign up for their newsletter, because they offer special promotions. Word has it that they have great sales on their dolls from time to time! These five new collections will be arriving shortly at all Wal-Mart, Kmart, Amazon.com, and specialty shops this season. The giveaway will conclude on June 15th.